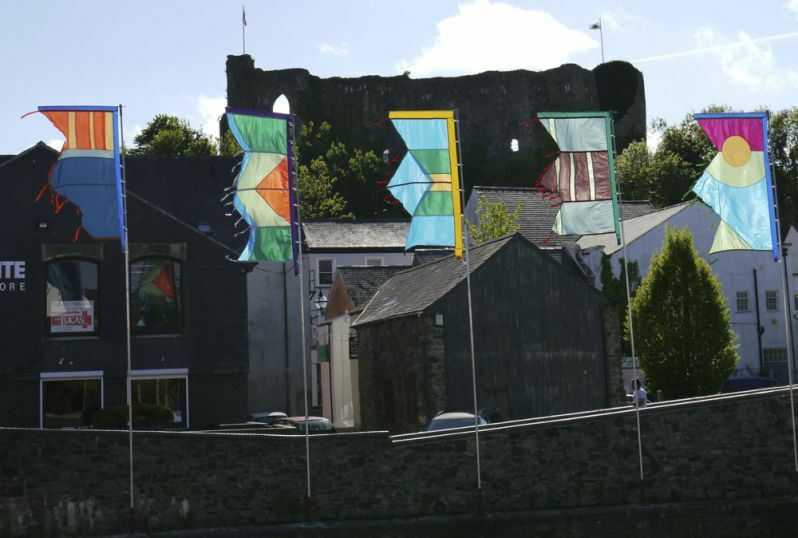 To launch the Lab Haverfordwest – a three year experimental arts and regeneration programme in Haverfordwest, we worked with A&E Adventures an inspirational local company based in Talbenny near Little Haven to create a set of five Haverfordwest festival flags. During March 2015, A&E ran a series of design workshops with seven Year 5 and 6 classes from Haverfordwest primary schools to inspire the design process. Each flag is based on a different stretch of the river Cleddau as it flows through the county town. The flags were first flown along the river on Monday May 25, to launch ‘The Lab’ and mark the beginning of the three-year programme and have subsequenly been flown whenever events are taking place on or alongside the river.